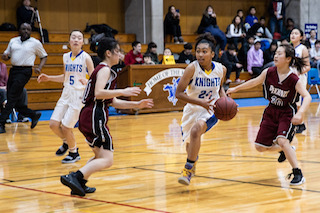 After a poor offensive first half, the varsity girls' basketball team was unable to complete a comeback against ASIJ on Senior Night on Tuesday. The Knights lost 45-30 to move to a record of 6-3 in league play. 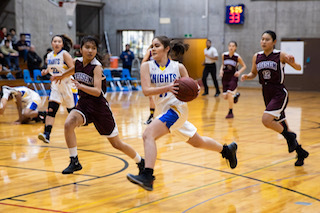 The JV girls' basketball team couldn't recover from a slow offensive start on Saturday and ended up losing 30-20 to Yokota. The Knights are now 3-3 this season. It was a tough day at ASIJ for the varsity girls' basketball team in the Kanto Classic Tournament. 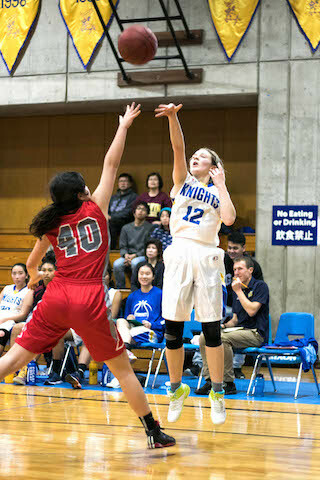 Following a big win against powerhouse Yokota on Thursday night, the Knights lost both games on Friday. They fell 30-20 to Kinnick in the early afternoon and then 34-23 to Kadena a few hours later. The varsity girls’ basketball team coasted to an easy 64-22 victory on Saturday morning at CAJ against St. Maur. The Knights led the Cougars 41-12 at halftime before slowing down the pace of the game in the second half.